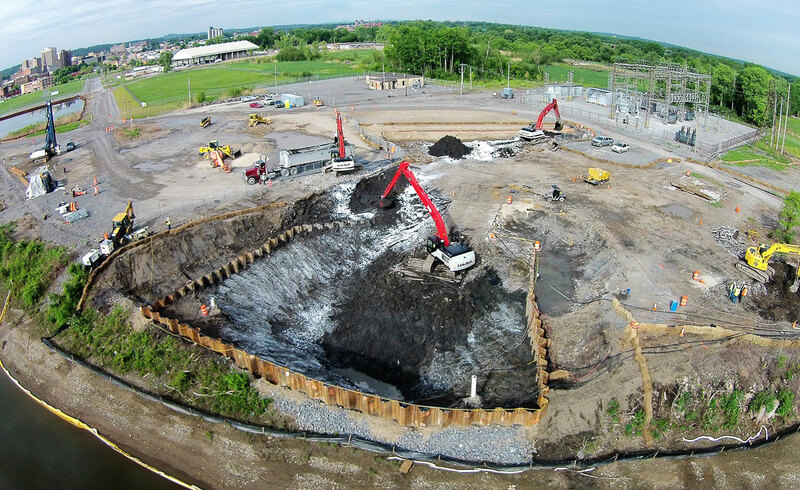 Under three separate phases of work, LAND Remediation served as the prime remediation contractor to National Grid at the Harbor Point MGP Site, located in Utica, New York. 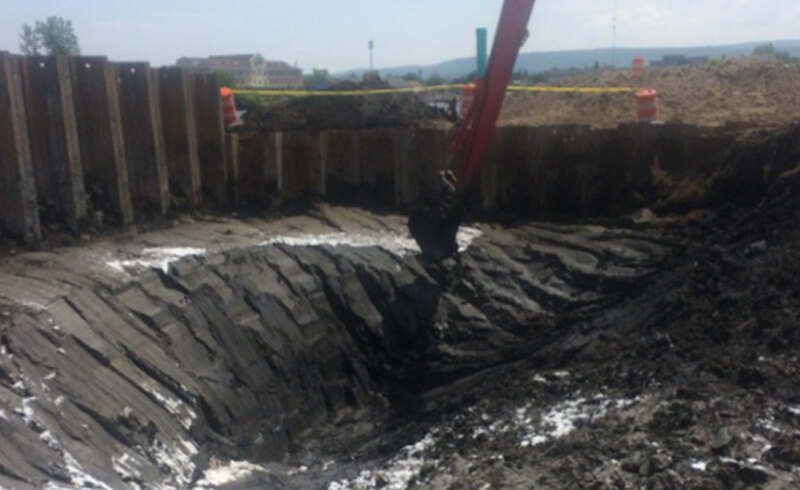 Under the first phase, LAND value-engineered an alternate geotechnical approach to the excavation of over 100,000 cy of PAH-impacted soils within a soft, unstable wetland area. 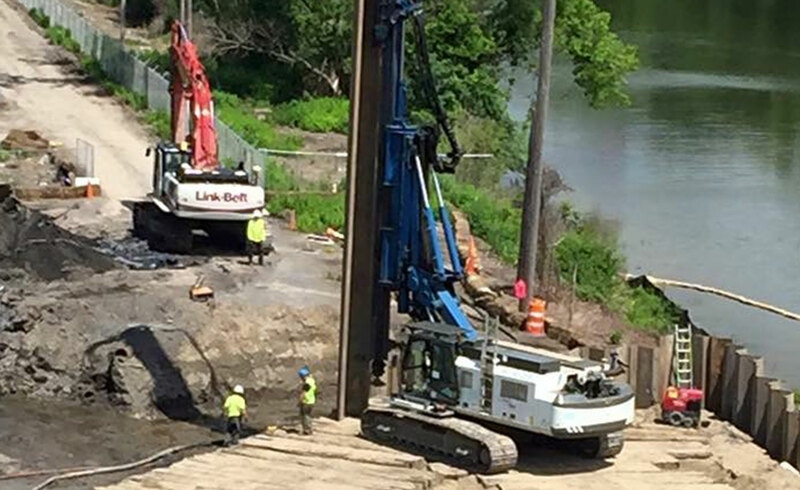 LAND performed in-situ soil stabilization on over 90,000 cy of material using a large excavator. An engineered grout was blended with the soils to create a low-permeable soil monolith. 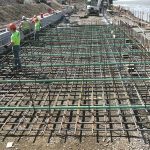 Following mixing and predetermined cure-time, conventional excavation equipment was utilized to excavate the center of the monolith leaving a perimeter wall and floor of low-permeability, high-strength material to act as a hydraulic barrier. A cost-savings of over $1M was realized by the owner due to the reduction in groundwater treatment and handling. 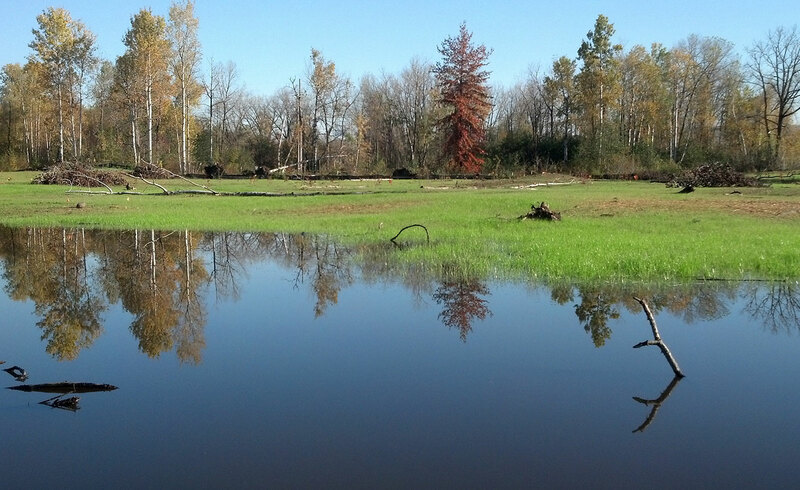 The excavation areas were backfilled with offsite imported material and native wetlands restored (photo below). 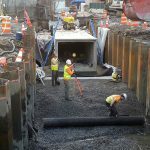 Two additional phases of work included excavation of nearly 45,000 cy of MGP-impacted soil within temporary sheeted cells, management and T&D of soils to disposal, and additional shoreline restoration.